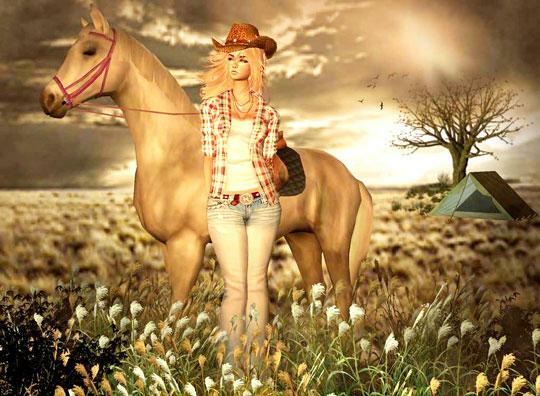 Evening Ride in IMVU - Play Horse Games - Free Online Horse Games - Virtual Horse Games! There is nothing quite like watching the sun go down as you enjoy a fun ride through some amazing countryside. IMVU lets you create your own paradise island and put whatever you want on it, including a stable full of horses and nice places to take them. See what wonderful places you can create in the brilliant IMVU today!